Glenn Hughes spoke to Australian magazine Loud promoting his upcoming tour with Music of Cream. 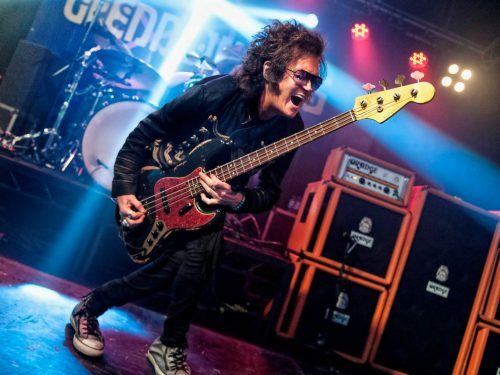 He also mentioned that the new Black Country Communion album is due in mid September, and some sort of Purple-related movie is in the works (although it’s not clear whether it will be a documentary or based-on-real-events feature film). Q: You released your autobiography in 2011. Are there any plans to issue an updated version to incorporate events such as the Hall of Fame induction? A: There’s talk of it. I’m thinking of doing some other work about books and stuff… But I can’t really talk about it right now. But there’s going to be a movie, we’re working on a movie right now which will be out next year regarding some stuff I did in Deep Purple which was really, really wild stuff. Not so much drug stuff, but really stuff that, it’s in my book, so there’s some stuff we’re going to do from the book that will be made into a film. So that’s what’s going to happen next year, we’re actually working on it right now. Posted by Nick Soveiko on Tuesday, April 11th, 2017, filed under News. You can follow comment on this post through the RSS 2.0 feed. You can skip to the end and leave a comment. Pinging is currently not allowed. Interesting…. should be wild, man!.